You may be a stellar driver, but it’s always “the other guy” who poses a risk. According to data from the Insurance Research Council, 1 in 7 U.S. drivers is currently uninsured, despite the fact that most states require auto insurance. Now, many states are requiring uninsured motorist coverage in their car insurance policies to help with costs associated with injuries after being involved in a car accident with an uninsured driver. In the event of an accident, uninsured motorist bodily injury coverage will protect you and your passengers from medical expenses, pain and suffering and lost wages. This type of coverage also protects you and your passengers if you are the victim of a hit-and-run accident. $15,000 for bodily injury or death, per person. $30,000 for total bodily injury or death, per accident. You may be able to purchase a combined single limit policy, which is one amount that your insurance company will pay out for all bodily injury in an accident (e.g., $30,000 for all injuries). If uninsured motorist property damage coverage is offered in your state, consider purchasing it. One accident with an uninsured driver can leave you with significant bills to cover your property damage. In addition to paying for damages to your vehicle, uninsured motorist property damage coverage may also cover damage to other personal property such as your house, garage, fence, as well as personal items, like your laptop or cell phone. 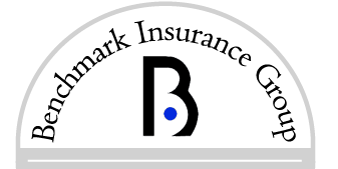 If you need help understanding these options and finding the right policy, knowledgeable, independent agents at Benchmark Insurance are always available to answer any questions you may have, suggest coverage options, and even assist you in filing a claim. Our experienced agents are able to locate a number of policy quotes from a variety of insurance carriers, ensuring the policy you choose will offer the best coverage at the most affordable rates. Contact us to help you find the perfect auto insurance policy – even if the other guy failed to do so.